While we all aspire to be talented, at-home baristas with a knack for operating all the specialty tools, sometimes convenience wins out. We don’t judge. There are a plethora of capsule based espresso machine brands that tout user-friendly interfaces and efficient brewing. One of the leading names in that realm is Nespresso. So today, we’ve sorted through the different options that Nespresso and its partners have produced, so you can pick which machine would work best for you. In case you didn’t know, Nespresso is a Switzerland based unit of the Nestlé Group. They produce their own line of pod espresso machines and also partner with other companies like De’Longhi. Speed, ease, and simplicity. 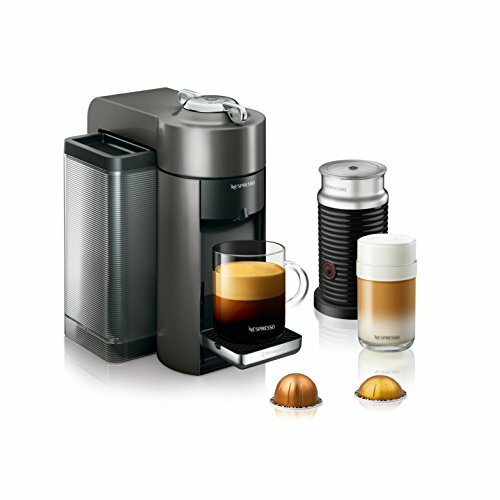 Nespresso machines are fast, easy to use and clean, and simple to understand (without a ton of bells and whistles). They are also generally more affordable than an espresso machine and more space efficient. 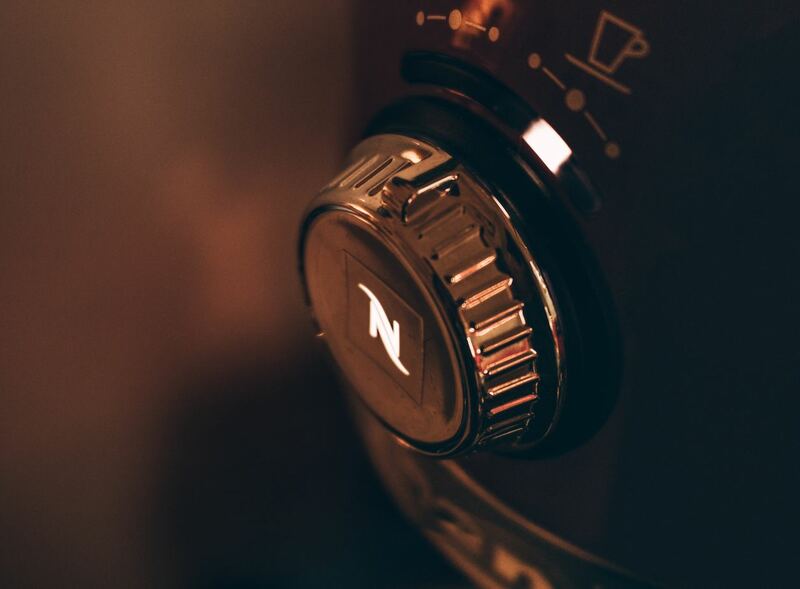 With a Nespresso machine, you are going to get the closest you can to a full espresso bar experience, without sacrificing your entire countertop or wallet. That makes these machines a great choice for coffee lovers with a real taste for quality as well as beginners who are looking for something that will be easy and reliable. Most machines have both a regular espresso as well as a lungo option. They also have common features such as removable water tanks and drip trays. While the company tends to recommend you use their own classic capsules, there are other options out there if you’re looking for something a bit more affordable. Just check to make sure the dimensions match the Nespresso capsules. However, if you opt for something in the VertuoLine, you will need to get Nespresso’s Vertuo capsules. As with most modern brewing tools, the heat-up on even the low range machines is less than 30 seconds, so you can easily get your brew quickly and easily. This machine is the best option for coffee shop enthusiasts without a tight budget. 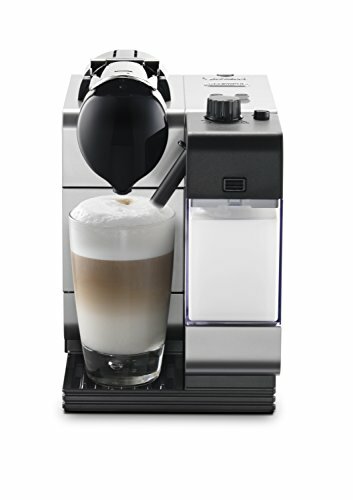 Seriously, if you love a good latte and you have a bit of extra money to invest, opt for this machine. Breville sent us a Creatista Plus to test out and this thing flat out makes amazing espresso. The Creatist is the FIRST Nespresso machine with a built in steaming wand. This separates it from the Lattisiama’s milk frother because it can produce a true micro foam which is a vital for latte art and a number of dairy-based specialty drinks. So if you’re a coffee regular looking to save some money in the long run, but you aren’t ready to fully commit to a high-end espresso machine. This Nespresso option is for you. This is in part because it was produced with Breville, one of the top espresso machine brands on the market. Aside from the steam wand, this machine also features 8 coffee options, 4 froth levels, and 11 temperature settings that you can select on the sleek LCD display. That’s about as customizable as you can get from a capsule brewing machine. Our only complaint for the Creatista is that it can be cost prohibitive for some. 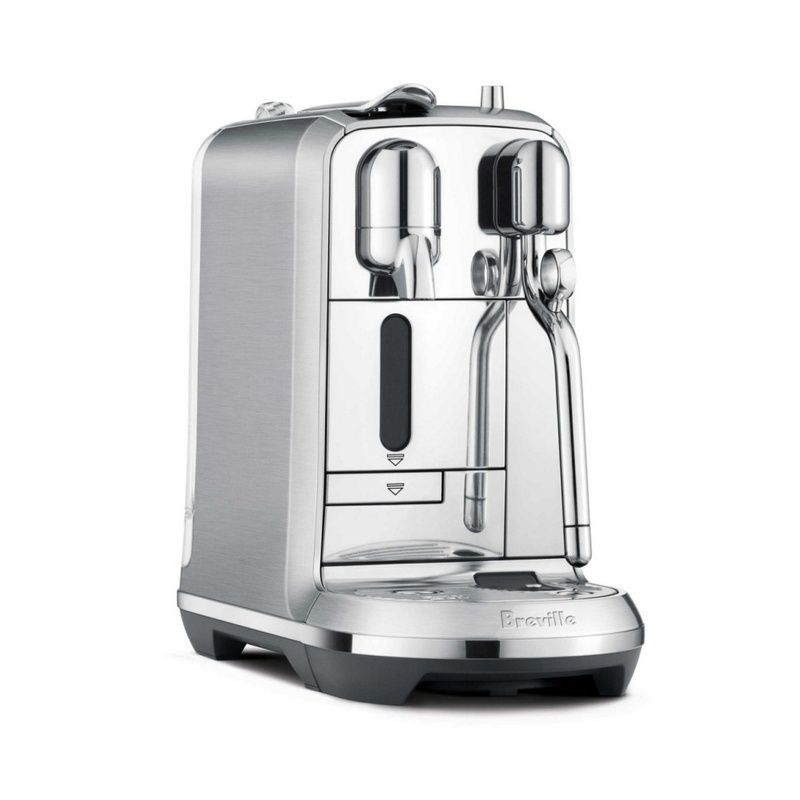 If you don’t mind sacrificing a few non-vital stainless steel parts from some plastic ones, you can get the cheaper but otherwise identical Breville Nespresso Creatista Espresso Maker. The plastic will probably reduce the lifespan a bit and won’t look as nice in your kitchen, but it’s still a top-notch machine. Whether you’re a college student or just a proud renter of a New York-style shoebox, if you’re budget and space conscious, the Inissia is the machine for you. The Inissia comes at a lower price point than many of its Nespresso sisters and has one of the smallest footprints. The dimensions are 12.6 x 4.7 x 9 inches and it weighs about 7 lbs. This machine features the standard espresso or lungo options and has a pretty simple, minimalist design. Both its initial and continuing costs are pretty low, with an easy price tag and class A energy rating. The main draw back of this model is the water tank, which can only hold 24 oz. That means you’ll have to refill it pretty often. This is fine for one or maybe two coffee drinkers, but much more and it’ll get pretty tedious. 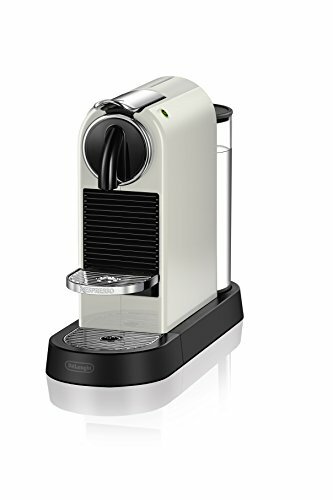 The runner up for this budget beginner’s spot is the Breville Nespresso Pixie Original Espresso Machine If you click this link and make a purchase, we earn a commission at no additional cost to you. . This Breville option comes at a slightly higher price point and features a light that tells you when the water tank is empty. But you’ll get the same space saving design. This Red Dot Design Award Winning machine was truly crafted for the committed coffee lovers. This is our overall top pick because it gives you a simple but great design, and most importantly a high-quality brew. This machine features the standard espresso and lungo options as well as one for ristretto. You can order it with or without the Aeroccino milk frother, which is great for dairy-lovers and purists alike. You can put up to 11 ESE capsules and 34 oz of water into the CitiZ at a time. This makes for super easy brewing without too much prep time. It also has an auto-off feature that kicks in after 9 minutes of idle-time to help you save money and energy. Also, the CitiZ is more durable than most machines because it’s made with mostly steel components. So this model should be able to give you a reliably great brew throughout its considerable lifespan. 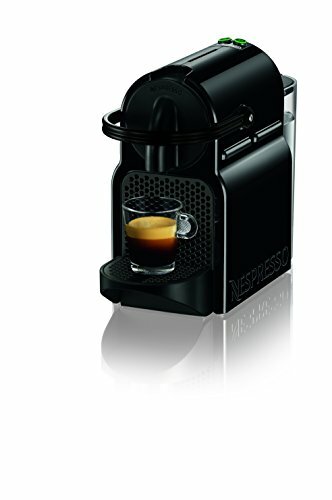 If you if you need a little extra room and don’t mind less durablility and brewing options, you can save a bit of money by opting for the earlier version of this machine: Nespresso Essenza Mini by De’Longhi If you click this link and make a purchase, we earn a commission at no additional cost to you. This machine is the De’Longhi counterpart to the Breville+ Nespresso Creatista. Despite the name, it’s best suited for flat white or dry cappuccino lovers. This machine is one of a few espresso machines that are marketed as specifically “latte” machines. The reason we say it’s better for capps and flats is because the milk frother doesn’t actually have a steam want like the Creatista, which means you’ll get more of an airy foam rather than a creamy microfoam. This machine weighs 9 lbs and measures 12.5 x 6.6 x 10.2 inches. It’s milk and water tanks each hold enough to make about 2 drinks in one go. The Lattisima has a one-button steam self-cleaning option and is dishwasher safe, making it delightfully easy to clean. It has 2 coffee options and 3 milk options, which you can select using a few illuminated buttons. It also features an adjustable auto-time button. If you are looking for something that can handle both your espresso and average Joe, the Evoluo from Nespresso’s Vertuo line is a great option. This original Evoluo machine comes at a comfortable mid-range price point and allows you to streamline your kitchen appliances. With a 13-20 capsule capacity, 54 oz water tank, and 15 second heat-up, this machine performs the best in high volume homes or even office spaces. Also, the other main selling points on this machine are the Centrifusion barcode technology. The Centrifusion spins water around the ground to ensure even extraction and superior espresso flavor. The barcode tech automatically differentiates between traditional coffee capsules and espresso capsules, saving you time and energy. You can get this model with or without the Aeroccino milk frother, depending on your current equipment and coffee preferences. It’s main drawback is that it is ONLY compatible with Nespresso’s Vertuo capsules, which can be limiting. In all, Nespresso machines are great for coffee fans looking for efficiency or who are just not ready for a full-blown espresso machine just yet. Regardless of your budget or preferences, you should be able to find a machine that suits your needs and lifestyle on our list. When you order a macchiato at a coffee chain, chances are you'll get a sugary, possibly caramel-y latte-esque beverage. But this is not the real macchiato. Read on, and we'll answer the pressing java question "What is a macchiato?," break down it's variations, and tell you how to order the real-deal.